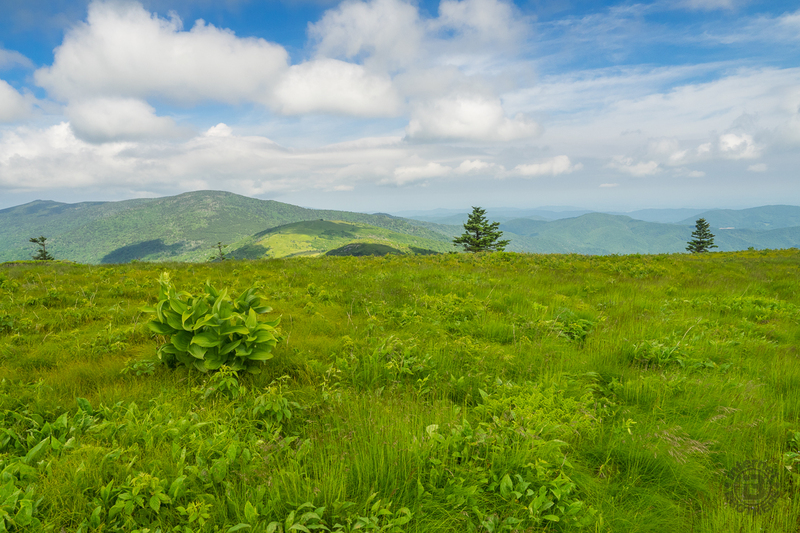 When the Southern Appalachians are your home, the month of June simply isn’t complete without a visit to Roan Highlands for the annual rhododendron and azalea bloom. Like Julie Andrews sang years ago, “these are a few of my favorite things.” From the first time I set foot on Round Bald, I knew this was someplace special. 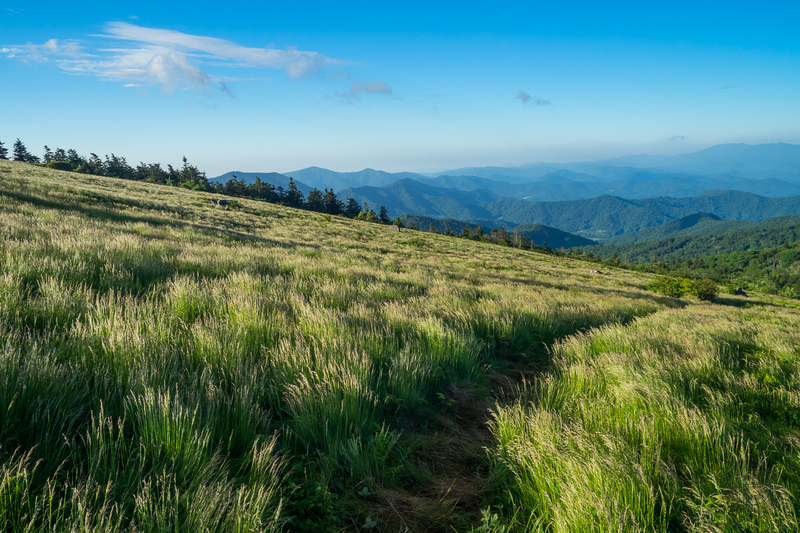 The grassy ridge of the Highlands bald mountain tops runs for 14 miles, the longest stretch of unobstructed vistas on the entire Appalachian Trail. Add to that the brilliant colors of the flowers, and you will understand why this is a must see destination. I have already written a trail report for Grassy Ridge in the Highlands. To learn how to get there, and where to hike, you can get all the details here. Rather than repeating the report, I wanted to share my photographic experiences from the most recent foray across the balds. This visit occurred on Wednesday, June 17, 2015. I arrived approximately 7:45 AM to bright, glorious sunshine. It became apparent almost immediately that the catawba rhododendron blossoms were already gone. The Spring bloom season is fickle. Two years ago I visited Roan on June 19th, and was probably two days early for the peak bloom. This year June 17th was about four days too late. Not to worry though, the flaming azaleas were still out in abundance; and I found the elusive Grays Lily, the rare mountain perennial. 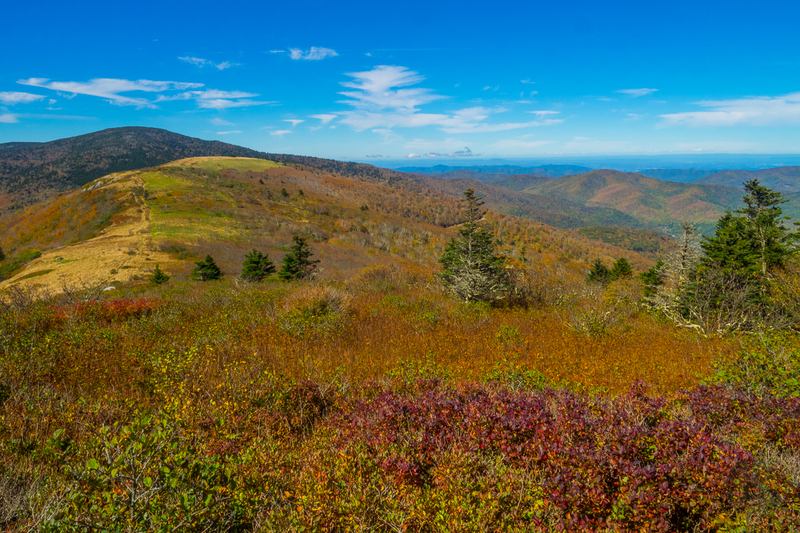 I hope you enjoy these recent photos from Roan Highlands. Feel free to leave your comments below the gallery. The morning sun was just peaking over Round Bald when I arrived. It brought with it a summer breeze that added a wispiness to the native grass. 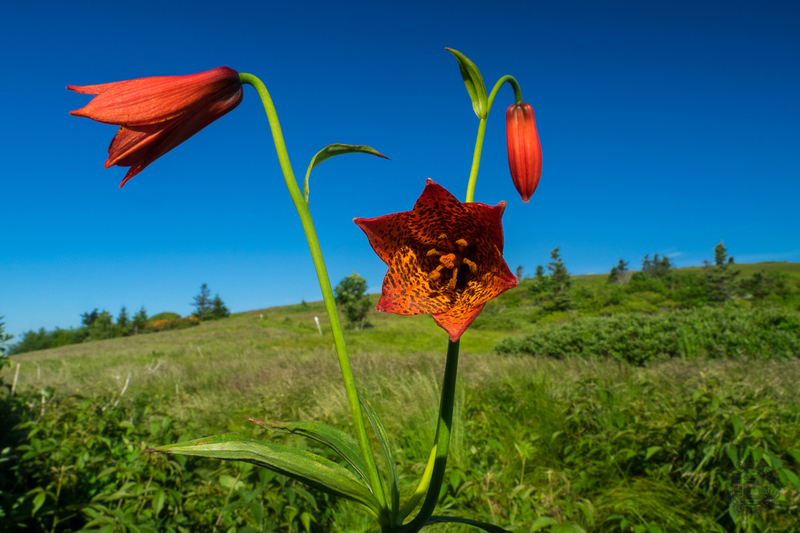 I’ve been to Roan Highlands for the June flowering three times now. This was my first Grays Lily. I was treated to another before the day was through. I arrived on Grassy Ridge Bald about 10:00 AM, as did the clouds, first white, then grey. Updated October 6, 2015: Autumn must mean it’s time for another visit to the Highlands, chasing the ever-illusive colors of the new season. Timing the Roan Highlands fall foliage chroma display is a fool’s-errand. It is never the same two years in a row. I started with a visit on September 28th, only to find a mountain covered in fog so thick that I was breathing moisture. Oh well, there’s always the exercise, I told my disappointed self. Following a week of torrential downpour over the Southern Appalachians, it finally cleared on Monday, October 5th, so I was there ready and able the next morning. This time the weather totally cooperated. As you will see in the photos below, the sky was magnificent and the clear air enabled long distance viewing that extended well into Tennessee and maybe even beyond to Virginia. The coloring was a mixed bag of earth tones, some past peak, others yet to fully impress. Regardless, it was quite a distinction from my last spring-time visit in June. I love the earthy tones color spectrum that Fall brings to the mountains. Updated January 6, 2017: It seemed only natural to add a winter gallery of Roan Highlands. With that in mind, Ken and I set out in search of the white stuff. 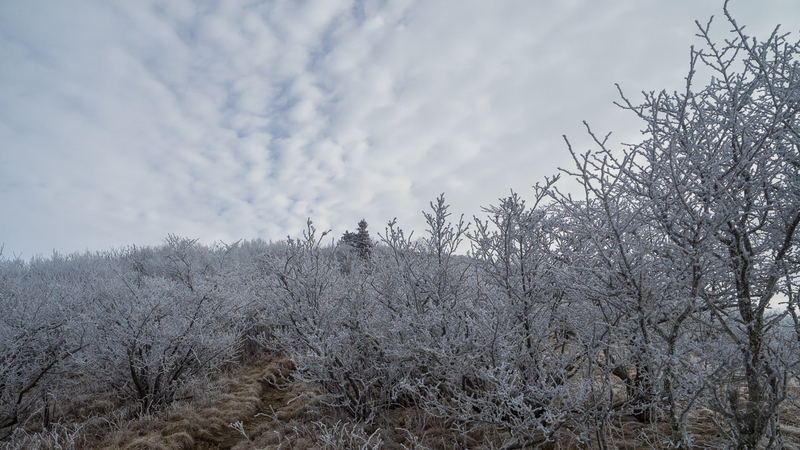 We didn’t find snow, but what we did find was a wonderland of rime ice, hoar frost, and frozen fog. The only downer was the thick clouds that had settled on the Highlands making long distance viewing impossible. Still, focusing at ground level revealed a world of ice at 6,000 feet. The climb up Jane Bald was particularly rewarding. The alderberry, rhododendron, and azalea bushes were all covered with a thick coating of rime ice.